FOR their research work during the first half of 1947, Elbert Benjamine and W. M. A. Drake decided to find out how often a major event, whatever it may be, takes place on one of the peaks of power due to the reinforcement effect of a minor-progressed aspect. They therefore calculated the minor-progressed aspects for the date of the event or the development of the disease to ascertain, out of 200 charts and events and diseases, in how many instances ALL the major-progressed constants were reinforced by a minor-progressed aspect heavier than from the Moon at the time the event took place or the disease developed. RULE: Each major-progressed constant of an event or disease is always reinforced by a minor-progressed aspect heavier than from the Moon to one of its four terminals at the time the event occurs or the disease develops. RULE: Each reinforced major-progressed constant of an event or disease is always released by a transit aspect heavier than from the Moon to one of its four terminals at the time the event occurs or the disease develops. And an independent minor-progressed aspect is always released by a transit aspect to one of the birth-chart or major-progressed terminals influenced by the minor-progressed aspect at the time the event takes place. If a match is lighted in a room filled with cooking gas, neither the power of the explosion nor the destruction resulting therefrom is commensurate with the limited energy of the match. The power was there, and the flame of the match merely released it. The power which projects a bullet from a gun does not lie in the trigger nor in the finger which presses it. The power is in the powder. That power is released when the trigger is pressed. Until the trigger is pressed the power is not released. And we now have adequate statistical data indicating that transit aspects have very little power in themselves; but that they exert a trigger effect which tends to release the power of reinforced major-progressed aspects, and also the power of independent minor-progressed aspects. One day of major-progression time is equivalent to one year of calendar time. As the day of major-progression time is measured by the interval between two successive transits of the Sun over the meridian, major-progressed aspects are timed by the apparent movement of the Sun. One astrological month of minor-progression time is equivalent to one year of calendar time. As the astrological month of minor-progression time is measured by the interval between two successive transits of the Moon over its birth-chart place, minor-progressed aspects are chiefly timed by the movement of the Moon. One year of transit time is equivalent to one year of calendar time. As the year of transit time is measured by the interval between two successive transits of the earth over the same sign, degree and minute of the zodiac, transit aspects are chiefly timed by the movement of the earth. Symbolically, the Sun is the father and the Moon is the mother, “Male and female created he them.” In higher forms of life it requires the union of male and female to conceive offspring. The Hermetic Axiom, “As it is above, so it is below,” is thus verified still further by the finding that both Sun measured progressed aspects and Moon measured progressed aspects influencing ALL its progressed constants must join in the production of a major event. In addition to gestation, however, before the event is born the energy must be released. It must become manifest on the earth. As in human birth after gestation has been completed there must be the pains of labor or their equivalent before the child is released to take its own first independent breath, so in the delivery of any major event, after gestation due to major-progressed aspect and minor reinforcement progressed aspect, before the event is released in the physical world there must also be a transit aspect to the significant birth-chart or major-progressed terminal. Astrologers will at once recognize the great importance of these two rules. It will enable them to eliminate the possibility of a given event or the commencement of a given disease, even during those periods while the major-progressed constants are within orb, except during those limited periods when ALL these major-progressed constants are reinforced by minor-progressed aspects and also released by transit aspects. It will enable them more precisely to time indicated events; for the event will occur on one of the peaks of power indicated when ALL the major-progressed constants are reinforced by minor-progressed aspects and at the same time receiving transit aspects. It will greatly aid in rectifying charts; because the chart when correct will have not only a major-progressed aspect to the ruler of the house mapping the department of life affected by the event, and the other major-progressed constants of the event—often involving the rulers of several houses—at the time the event occurs, but as an additional check, the major-progressed aspect indicating the event in each case, if the chart is correct, must be reinforced by a minor-progressed aspect and released by a transit aspect. If the ruler of the house mapping the department of life affected by the major-progressed aspect, and each of the other major-progressed constants, are not reinforced by a minor-progressed aspect and released by a transit aspect at the time of the event, the house positions of the chart are in error. There are still other important applications of this rule, but undoubtedly its greatest usefulness is in the selection of the best time to do things. Commonly, minor-progressed aspects and transit aspects last only short periods. Therefore, during the time a major-progressed aspect is within orb of influence, it usually is possible to select several short periods during which no minor-progressed aspect to any of its four terminals reinforces it. If one were compelled to do something hazardous, such as take a dangerous trip, during the time there was a major-progressed affliction involving Mars, if one selected a time when this major-progressed aspect was not reinforced by a minor-progressed aspect, the danger would be reduced, if not to nil, at least to a minimum. Thus far we have found no accidents unless a major-progressed aspect involving Mars was reinforced by one or more minor-progressed aspect and released by a transit aspect. On the other hand, if one wished to do something at a time when it was essential to get all the benefit possible from a harmonious major-progressed aspect, one could select a time when, in addition to a transit aspect, several minor-progressed aspects were reinforcing the major-progressed aspect. Often it is possible to find a short period during which the reinforcements give the major-progressed aspect several times its normal peak power. The power to bring the desired event to pass during such a short period would consequently be several times as much as when no reinforcement was present. Birth-chart constants: Moon severely afflicted by Mars. If Mars is prominent and afflicted, a severely afflicted Moon may cause trouble with the eyes. Even a powerful harmonious aspect, such as a trine, between Moon and Mars may give eye difficulties of less severity if the Moon is otherwise severely afflicted. Mars and the Moon are the factors in crossed eyes. In cataract, Neptune also is involved. Progressed constants: A Mars aspect with severe rallying forces. Stellar Treatment: The thought cells mapped by the Moon should be strengthened and harmonized through applying to them Sun planetary energy. 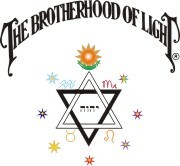 The thought treatment should be such as to bring the Moon energies and Mars energies into more harmonious relations. The eyes themselves should be soothed with lunar electromagnetic energy. The zone occupied by Mars should be given Moon planetary energy, and the zone occupied by the discordant rallying force should receive the energy of its planetary antidote. Example: Chart 259. Male, Aug. 22, 1885, 7:00 a.m. 81:50W. 24:30N. Moon opposition Mars, and Mars semisquare Sun. August 1914, as progressed, with Mars semisquare Mercury r, sextile Uranus p, sextile Pluto r; Venus semisquare Mercury r and Jupiter p; and Sun p Uranus p; he was vaccinated. The poison injected into his blood stream at that time affected his eyes, and by December 1916 with Mars still semisquare Mercury r and Jupiter p he was totally blind. As the pain continued, on May 12, 1931, under Sun square Mars r, he had both eyes removed. Birth-chart constants: Mars and Neptune or Pluto heavily afflicted. Progressed constants: A progressed aspect involving Mars and a progressed aspect involving Neptune or Pluto, at the same time there are heavy rallying force afflictions. Stellar Treatment: The system largely depends upon the secretion of adrenalin and cortin to combat toxins and infection. Under afflictions of Neptune or Pluto the manufacture of these hormones is depressed. The Mars influence is toward over expenditure of these two hormones. With these two chemicals exhausted, toxins remain unneutralized in the blood stream, and infection, attracted by Mars, easily gains a foothold. 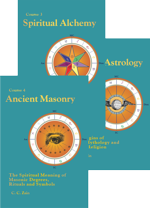 The zones occupied by Neptune or Pluto should receive Sun planetary energy to overcome their negative tendencies, the Mars zone should receive Moon planetary energy, and special effort should be made by the individual to remain mentally free from anger, excitement, fear, or other emotion, and from strain of any kind, as these release and use up the adrenalin and cortin supply. An even mind and a diet rich in alkali-forming elements are advisable. Cuts or scratches should receive immediate antiseptic treatment. Example: Chart 260. Male, February 17, 1911, 1:15 p.m. 1:15W. 53:30N. Mars square Moon and opposition Neptune and Asc. March 18, 1926, as progressed, with Sun sextile Mars r and semisquare Uranus p, and Asc. semisextile Pluto r and opposition Uranus r, died of blood poison. Birth-chart constants: An afflicted planet in Virgo, or much less commonly a severely afflicted Mercury. Progressed constants: A progressed aspect involving the planet in Virgo, or involving Mercury, at the same time rallying forces afflict. Stellar Treatment: Depends upon the type of difficulty. The birth-chart constants and the progressed constants as they appear in the chart map the dynamic structures which should receive the planetary energies of their antidotes. The thoughts of the individual are always very important in all types of bowel trouble, and he should be educated as to the type of thinking best for his particular case. The thought treatment in the region of the solar plexus also should be quite thorough. Electromagnetic energies should be applied specifically to the region of the bowels to carry planetary energies into this zone and to invigorate it. Example: Chart 262. Male, September 10, 1890, 7:20 a.m. 76:45W. 40N. Sun in Virgo conjunction Saturn and square Mars. Saturn in Virgo square Neptune and Pluto. By September 1927, as progressed, with Mercury conjunction Asc. r and square M.C. r, with Asc. square Moon r and semisquare Mars r (operation), and with Sun conjunction Uranus r (paralysis), the difficulty had become severe enough to paralyze the bowels and they were operated on. Birth-chart constants: Usually an affliction in Aries, but at times only an affliction to Mercury; and a prominent and afflicted Mars. Progressed constants: Some aspect involving Mercury or the planet in Aries, usually both, and at the same time an affliction involving Mars. Stellar Treatment: There are two types of this disease. In one there is inflammation of the membranes and in the other inflammation of the brain substance. But the diagnosis and treatment are similar for both. Chemical balance should be restored to the nerves through a diet rich in calcium, vitamin B-1 and vitamin D. The planetary antidote should be applied to any afflicted planet in Aries, and Jupiter planetary energy should be applied to the zone occupied by Mercury; but the chief effort should be to reduce the inflammation by delivering to the Mars zone, and to the brain, the planetary and electromagnetic energies of the Moon. Soothing passes over the brain with the left hand are recommended. Example: Chart 263. Female. January 17, 1892, 12:15 a.m. 81:45W. 41:30N. No affliction in Aries, but Mercury is square Saturn. Mars is square Moon and square Venus. About July 1, 1904, as progressed, with Mars square Moon r, semisextile Mercury r and semisquare Asc. r, suffered from brain fever. 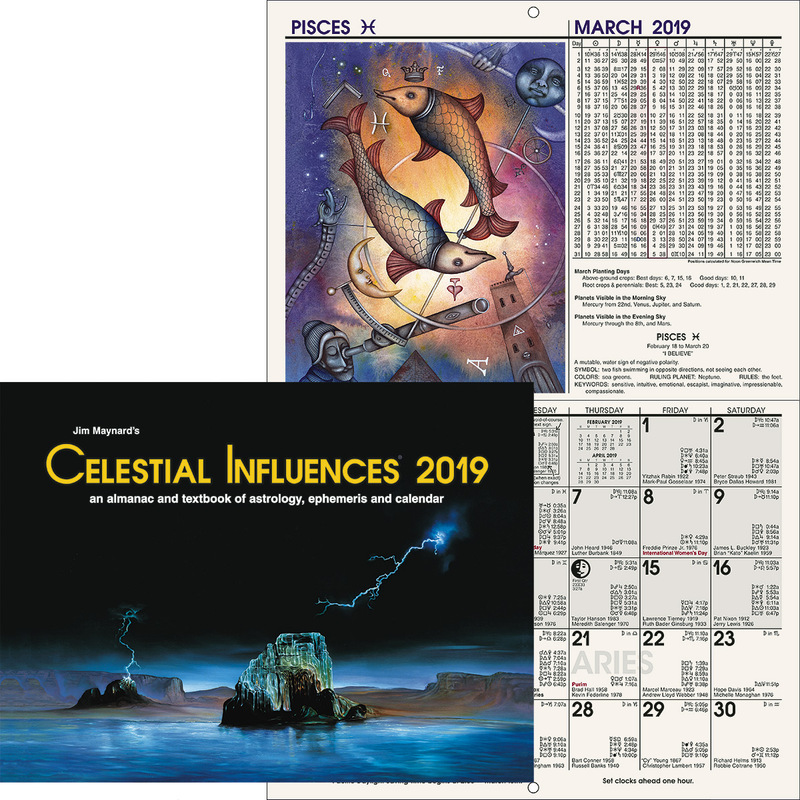 Birth-chart constants: Usually an affliction in Aries, but at times only an affliction to Mercury; and a prominent Moon afflicted by negative planets. Progressed constants: Some aspect involving Mercury or the planet in Aries, and usually an aspect involving a negative planet. Stellar Treatment: This is a child’s disease and occurs in acute form and in chronic form. It is dropsy of the brain, and in chronic form may exist before birth. An over active back pituitary causes water to be unduly retained, and the affliction in Aries or to Mercury may cause it to be retained in the brain. The afflicted Mercury or the affliction in Aries should receive the planetary energy of its antidote; but in particular Sun planetary and electromagnetic energies should be applied to overcome the negative influences, and to stimulate the thyroid to drive the water from the system. These solar energies should be applied to the zone mapped by the Moon, and to the region of the brain. Example: Chart 264. Male. July 31, 1909, 7:30 p.m. 88W. 37:30N. Saturn is in Aries square Moon, Uranus and Neptune. Feb. 4, 1912, as progressed, with M.C. sesquisquare Saturn r, Pluto inconjunct Moon r, Uranus opposition Neptune r and sesquisquare Venus r, and Moon opposition Venus r, died of water on the brain. Birth-chart constants: Usually an afflicted planet in Libra or Scorpio, and Venus or Mars, usually both, severely afflicted. Progressed constants: An affliction involving Venus or Mars, more commonly Venus, at the same time there are strong rallying force afflictions. Stellar Treatment: Bright’s Disease develops as a condition in which the kidneys are unable to filter the acids from the blood. This is followed by degeneration of the structure of the kidneys. To give the kidneys a chance to recuperate, the diet should be that suitable for Mars and Venus afflictions, and should be such as to keep the blood stream with an alkaline reaction. The nuclear proteins of meat work the kidneys too hard. And because cold, dampness and other exposure disturbs the circulation and makes calls upon the vitality which weaken the kidneys, they should be avoided. Planetary energy the antidote of the afflicted Venus or Mars should be applied both to the zone occupied by the afflicted planet and to the region of the kidneys. Example: Chart 265. Male, September 18, 1881, 6:00 p.m. 87:10W. 39:30N. Mercury in Libra in an angle inconjunct Saturn. Venus square Saturn. Mars square Sun. In May 1929, as progressed, with Sun in Scorpio sesquisquare Mars r, and Mercury square Venus r, developed Bright’s Disease. Birth-chart constants: Gemini highly sensitive due to an afflicted Mercury, or more commonly through the presence in it of Uranus, Neptune or Pluto. Progressed constants: An aspect involving Mars, particularly if the planet in Gemini or Mercury is at the same time afflicted. Stellar Treatment: The birth-chart hypersensitivity of the bronchi is due to chemical imbalance permitting irritation to develop, which may become catarrhal and chronic. The parathyroid glands should be relieved of strain through calmer habits of thinking and a diet containing calcium, vitamin B-1 and vitamin D. The zone occupied by the planet indicating the Gemini sensitivity should be given planetary energy of that planet’s antidote, and lunar electromagnetic energy should be applied to the bronchi. The zone mapped by Mars should be treated with Moon planetary energy, and the diet should favor the restoration of the adrenal glands to their normal activities. Example: Chart 261. Male, May 9, 1912, 7:00 a.m. 71W. 42:45N. Pluto in Gemini conjunction the Asc., Mercury square Neptune. In April 1928, as progressed, with Sun in Gemini semisquare Mars r, and Mars sesquisquare Jupiter r in the sixth, had a severe attack of bronchitis. Birth-chart constants: Affliction in Pisces, or Neptune prominent and usually afflicted. Progressed constants: A progressed aspect involving the afflicted planet in Pisces or Neptune. Stellar Treatment: A bunion is an enlargement of a bursa, or sack, of the foot. The common cause is the wearing of shoes which in some manner force the toes from their normal position. The first thing, of course, is for the patient to wear shoes which entirely remove pressure or strain on the place where the bunion is developing. Its planetary antidote should be applied to the dynamic structure responsible for the condition. And in addition, both lunar and solar electromagnetic energies should be applied to the bunion itself, with the thought treatment that the tissues will be restored to normal. Example: Chart 266. Male, June 20, 1899, 10:00 a.m. 84:15W. 41:30N. Neptune in tenth conjunction Sun and opposition Saturn. Between the ages of 15 and 16, as progressed, with Venus conjunction Neptune r and Mercury sesquisquare Saturn r (tight), he walked about six miles a day in his work, in shoes which were too short, and bunions developed. Birth-chart constants: A heavily afflicted Mars, and commonly also Saturn and Uranus prominent. Stellar Treatment: Both the zone mapped by Mars in the birth chart and the place on the body where the burn occurs should be given Moon planetary energy. A stellar healer should be able quickly to draw the pain and fever from a burn, scald or sunburn, by placing his left hand over the burned area and his right hand on the part of the body or limb opposite. One of the dangers where flesh has been badly burned is from the proteins of the burned flesh poisoning the blood stream. Hospitals now use penicillin to counteract this. The body uses cortin and adrenalin. Their effort to neutralize the protein poison expresses as fever. To assist them the diet and thought treatment should strengthen the adrenal glands. Example: Chart 6091. Male, July 20, 1898, 7:00 p.m. CST. 83:01W. 39:58N. Mars sextile Sun and opposition Uranus and Saturn. December 20, 1904, as progressed, with Mars opposition Saturn r, was badly scalded. 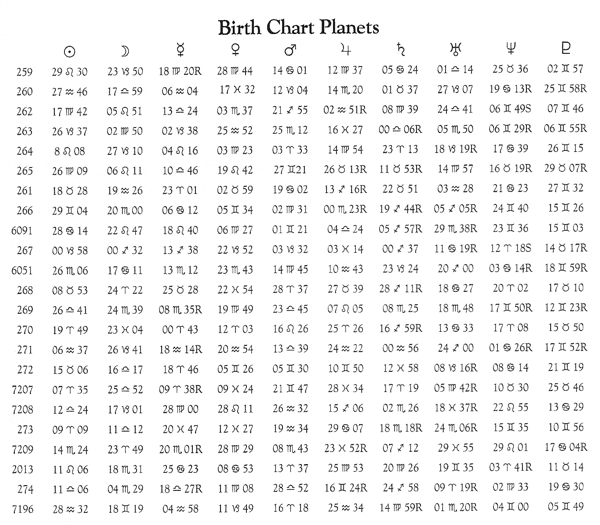 Birth-chart constants: Saturn, Jupiter, Moon and Neptune prominent and usually afflicted. The detailed analysis of 100 charts progressed to the time its owner developed cancer is given in the reference book, BODY DISEASE AND ITS STELLAR TREATMENT. Progressed constants: A progressed aspect involving Saturn and a progressed aspect involving Jupiter. Stellar Treatment: Foods should be selected which supply a wide variety of proteins, vitamins and minerals. The zones of the afflicted constants should receive the planetary energy of their antidote, and negative moods and negative thoughts should be ousted and the electrical potential kept high through Sun thoughts. Example: Chart 267. Male, December 22, 1867, 11:45 p.m. 89:30W. 40:45N. Saturn conjunction Moon, Moon semisextile Sun and square Jupiter. Neptune angular and sesquisquare Moon. Under progressed Sun square Saturn r and Moon r, and progressed Asc. trine Jupiter p, developed cancer of prostate gland. When Sun came conjunction Jupiter p in 1929, he went to the best known clinic in the country and was operated upon. June 1931, as progressed, with Sun square Saturn p, the disease started rapid growth and spreading, and he died before the Sun had progressed beyond the one degree of orb of square Saturn p.
Birth-chart constants: Jupiter afflicted and Mars prominent. Stellar Treatment: When certain foods are eaten too rich in proportion to the other foods partaken, when lack of exercise gives insufficient oxygenation, or when the insulin supply becomes inadequate, the fuels of the body smolder and do not properly burn. And when bacteria, which are always present in the air, are able to get beneath the skin of a person with such a blood stream, there is the type of infection known as boils or carbuncles. The region of such boils or carbuncles should always be kept disinfected to prevent their spreading, and they should not be pinched, as this may spread the infection to surrounding areas. The carbuncle may be drawn to a head by placing the right hand over it and left hand on the region opposite and permitting the electromagnetic current to flow freely between the hands. Mercury planetary energy should be applied to the zone occupied by Jupiter, and Moon planetary energy to the zone occupied by Mars. Education as to proper diet should be given. Example: Chart 6051. Male, November 19, 1902, 4:00 a.m. 71:25W. 41:49N. Jupiter square Mercury, Mars sextile Mercury and Moon. In June 1934, as progressed, with Mars sesquisquare Jupiter p, and semisextile M.C. p, developed a carbuncle on his thigh. Birth-chart constants: As in other types of eye trouble, the Moon afflicted by Mars, or at least Mars prominent and Moon severely afflicted; and in addition a Neptune aspect, usually an affliction, to the Moon. Progressed constants: An aspect involving Mars and an aspect involving Neptune at the same time there are severe rallying forces. Stellar Treatment: The growth which covers the eyes is due to chemical imbalance in which Neptune actively participates. In addition to the treatment given under blindness, therefore, the diet should contain energy foods, calcium, vitamin B-1, and less protein. Sun planetary energy should be applied to the zone occupied by Neptune, and instead of applying lunar electromagnetic energy, solar electromagnetic energy should be applied directly to the eyes. Example: Chart 268. Male, April 29, 1870, 4:47 a.m. 88:20W. 40N. Mars and Neptune both conjunction Moon. When progressed Mars reached the semisquare of Moon r, and Uranus was square Neptune p, cataracts began to form. November 11, 1929, he could still distinguish objects, but by November 19, 1929, as progressed, with Mercury semisquare Mars r, and Uranus square Neptune p, he was totally blind. A time was chosen by astrology for an operation, and through it his sight was restored. Birth-chart constants: One or more upper-octave planet prominent, and Jupiter afflicted. Progressed constants: An aspect, usually an affliction, involving the prominent upper-octave birth-chart planet, or an affliction involving Jupiter. Stellar Treatment: The diet should be that advocated for an afflicted Jupiter, and for an affliction to the upper-octave planet. Catarrh may develop in the nasal tract, mouth, throat, lungs, digestive tract, bladder, or wherever mucous membranes are present which become overly sensitive to the irritants which the afflicted Jupiter thought cells permit to remain in the blood. The liver should be energized with solar electromagnetic energy, and the Jupiter zone should receive Mercury planetary energy. The zone of the responsible upper-octave-planet thought cells should be given its planetary antidote. Example: Chart 269. Male, October 20, 1895, 2:50 a.m. EST. 74W. 40:40N. Neptune and Pluto conjunction M.C., Uranus conjunction Moon, Jupiter square Mercury and Saturn. October 18, 1929, as progressed, with Mars inconjunct Neptune p, and Jupiter square Mercury r, developed a severe case of catarrah. 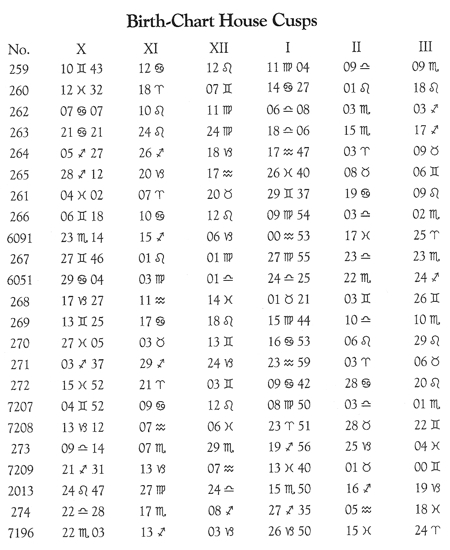 Birth-chart constants: Uranus prominent, usually an afflicted Mars, and commonly an afflicted planet in Aries. Progressed constants: An aspect involving Uranus, and an aspect, usually an affliction, involving Mars. Stellar Treatment: Thoughts and diet should reduce the nervous tension indicated by Uranus. Thoughts and diet should strengthen the walls of the blood vessels. Excitement or undue strain of any kind increases adrenalin secretion and speeds up the circulation. If the blood vessels of the head have been weakened by acids in the blood stream, or if they have become brittle through insufficient parathyrin to handle calcium, a little sudden increase in the circulation may cause cerebral hemorrhage. The pressure on the brain where the rupture occurs usually results in a stroke in which some section of the body is paralyzed. Lunar electromagnetic energy should be applied to the region of the rupture, Moon planetary energy should be applied to the zone mapped by Mars, and Jupiter planetary energies should be applied to the zone occupied by Uranus. Example: Chart 270. Male, April 9, 1869, 10:37 a.m. 74:15W. 41N. Uranus square three of the five planets in Aries, and Mars trine Sun and square Pluto. November 12, 1930, as progressed, with Uranus conjunction Asc. r, Pluto square Mars r, and Mercury sextile Mars p, had a cerebral hemorrhage. Birth-chart constants: A malefic planet, or an afflicted planet, in the fifth, or the ruler of the fifth severely afflicted. Progressed constants: An affliction to the ruler of the fifth. Stellar Treatment: The planetary antidote of the malefic in the fifth or the afflicted fifth house ruler should be applied to the zone occupied by the planet, and to the zone indicated by the sign on the cusp of the fifth. Example: Chart 271. Female, January 27, 1903, 7:45 a.m. 158W. 21:30N. Neptune in fifth inconjunct Saturn. April 11, 1928, as progressed, with Sun square Neptune r (ruler of fifth), and Mars (planet of operations) sesquisquare Sun p, a child was born; but it was a Caesarean birth. Birth-chart constants: Mars somewhat afflicted. Progressed constants: A progressed aspect involving Mars. Stellar Treatment: This is a very mild Mars disease. The diet should be that recommended when Mars is afflicted, and should be quite light for a few days. Quietness should be encouraged. Lunar electromagnetic energy may be applied to reduce the fever, and Moon planetary energy should be applied to the zone occupied by the dynamic Mars thought cells. The fever is the result of adrenalin and cortin trying to oust the invader and neutralize its toxins. If, therefore, through diet, lack of exciting activities, and Moon planetary energies, the adrenal glands can be kept functioning properly, this disease or more serious Mars contagions, will be able to cause much less trouble. Example: Chart 272. Male, May 6, 1906, 8:30 a.m. 79W. 42:50N. Mars semisquare Mercury and sesquisquare Moon. In August 1911, as progressed, with Mars semisextile Asc. r and inconjunct Uranus r, had chicken pox. Birth-chart constants: Mars prominent and a planet in Virgo, or Mercury afflicted. Progressed constants: An aspect involving the planet in Virgo or Mercury at the same time there is an aspect involving Mars. Stellar Treatment: Asiatic cholera is caused by Vibrio comma bacilli. As soon as the diarrhea starts the individual should be put to bed and kept at complete rest. No food should be given for a few days except water, barley water, or water with glucose in it. The room should be kept warm but well ventilated. As recovery sets in, small quantities of light milk food may be given. The energy of its planetary antidote should be applied to the zone of the afflicted planet in Virgo, or Jupiter planetary energy should be applied to the zone occupied by Mercury. Moon planetary energy should be applied to the zone occupied by Mars. The patient’s vitality should be reinforced by delivering to him abundant solar electromagnetic energy. Example: Chart 7207. Male, March 27, 1880, 3:49 p.m. 76W. 42N. Mars angular and trine Moon. Uranus conjunction Asc. in Virgo and opposition Venus. In June 1906, as progressed, with Saturn sesquisquare Uranus r in Virgo, and Mars square Sun r, had Asiatic cholera. Recovered. Birth-chart constants: Negative planets quite prominent, or a negative planet severely afflicted. Progressed constants: The type is a progressed affliction involving either Mars or Saturn; but almost any progressed aspect, if the birth-chart predisposition is pronounced, may permit a cold to develop. Stellar Treatment: What is known as a common cold is made possible through a blood stream unable to oust invading organisms. People seldom take cold except when their thoughts temporarily are of a negative character. While the thoughts are positive, both the electromagnetic energies and the chemical secretions are such as to resist invasion. Because fruit juices tend to an alkaline reaction of the blood, their use during colds is to be recommended. The bowels should be kept open, the food should be that recommended for Saturn, with special emphasis on vitamin A, the patient should rest, solar etheric energies should be applied to increase the vitality, and their planetary antidotes should be applied to the zone occupied by the Saturn and Mars thought cells to the end of giving a good output of adrenalin and cortin. Example: Chart 7208. Male, October 5, 1924, 6:00 p.m. 75W. 40N. Moon, Saturn and Pluto in angles; Neptune and Venus opposition Mars. Suffered from one cold after another. They were particularly bad in April 1929, as progressed, with Sun square Moon r, M.C. conjunction Moon r, Mars opposition Venus r, and Mars sesquisquare Sun r.
Birth-chart constants: More commonly a planet afflicted in Virgo. Less commonly a severely afflicted Mercury. Progressed constants: An aspect involving the planet in Virgo, or involving the severely afflicted Mercury. Stellar Treatment: This disease is nearly always due to indiscretion in eating. The diet should, therefore, be tempered to the special requirements of the patient. Jupiter planetary energy should be applied to the zone occupied by afflicted Mercury, or its planetary antidote should be applied to the zone occupied by the afflicted planet in Virgo. To relieve the pain, which may be severe, solar electromagnetic energy should be applied by placing the right hand over the painful area and the left hand on the back opposite. Example: Chart 272. Male, May 6, 1906, 8:30 a.m. 79W. 42:50N. No planet is in Virgo, but Mercury is opposition Moon and semisquare Venus and Mars. As a child he suffered much with colic. Birth-chart constants: Affliction in Scorpio, or less commonly an affliction to Mars. Progressed constants: A progressed aspect involving the afflicted planet in Scorpio, or a progressed aspect involving Mars. Stellar Treatment: The colon is ruled by Scorpio. Emotional upsets of any kind affect the chemical balance of the blood stream. An aspect to Mars may deplete the adrenalin and cortin supply permitting an acid or toxic condition to develop. 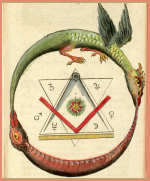 The discordant Scorpio thought cells, or discordant Mars thought cells permit the imbalanced blood to irritate the colon. A calm mental attitude should be cultivated, and the diet should be such as to restore chemical balance and strengthen the adrenal glands. Lunar electromagnetic energy should be applied to the region of the colon, Moon planetary energy should be applied to the zone occupied by Mars, and the affliction in Scorpio, if any, should be given its planetary antidote. Example: Chart 273. Female, March 29, 1896, 12:15 a.m. 122:30W. 38N. Mars square Saturn and Uranus in Scorpio. In July 1911, as progressed, with Mercury trine Uranus r in Scorpio, Mars semisextile Mercury r, Asc. semisextile Mars p, and Sun opposition Moon r, developed colitis. Birth-chart constants: Moon prominent and afflicted and in aspect with Neptune. Progressed constants: This defect is usually hereditary and present from birth. Stellar Treatment: Eye surgery indicates that color blindness can be corrected. Large amounts of vitamin A are considered helpful. The planetary energy of Mars should be applied to the zone occupied by the Moon, and the planetary energy of Saturn and the Sun should be applied to the zone occupied by Neptune. Example: Chart 7209. Male, November 7, 1927, 2:52 p.m. EST. 83W. 42N. His brother and father are also color blind. Birth-chart constants: Saturn prominent and forming any aspect to Mercury, or Saturn in Virgo or in the sixth house. To a lesser extent a prominent Saturn forming heavy aspects, especially afflictions. Progressed constants: Any aspect involving Saturn, but especially an affliction involving Saturn. Stellar Treatment: Common causes of this disorder are too concentrated diet, tea, coffee, tobacco, beer, lack of exercise, pills, and neglect to answer nature’s call. When the call comes to relieve the bowels, if it is neglected a few times, a habit system is formed in which the call is no longer felt. With most people the habit is most readily cultivated of performing this act immediately after rising, or immediately after breakfast in the morning. The diet, exercise and stellar treatment should be such as to enable the evacuation to take place as scheduled. And the attempt should always be made at the scheduled time, and without fail, whether the effort is successful or not. People differ widely in the frequency with which evacuation is necessary. Example: Chart 2013. Female, August 3, 1862, 1:00 p.m. 82:41W. 38:32N. Saturn in Virgo sextile Mercury. In April 1903, as progressed, with Sun conjunction Saturn r and Saturn sextile Mercury r, constipation was unusually severe. 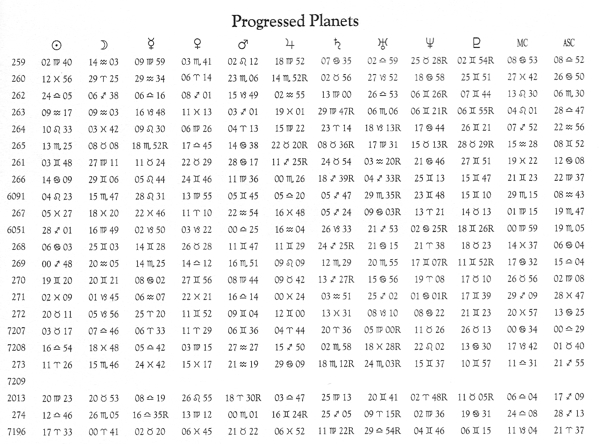 Birth-chart constants: Mercury prominent and afflicted, Mars prominent, and one or more of the upper-octave planets—Uranus, Neptune, Pluto—prominent. Progressed constants: An aspect involving either Mars or Mercury, usually both, with affliction from rallying forces. Stellar Treatment: The upper-octave planets and Mercury disturb the calcium balance, giving great sensitiveness to the nerves and mucous membranes. The progressed aspect involving Mercury increases this condition, giving spasmodic nervous reactions to irritants, especially in the region of the bowels, which through Virgo are ruled by Mercury. The progressed aspect involving Mars cuts down the cortin supply and permits the irritants to act with little hindrance. The diet should tend to correct the Mercury and Mars chemical imbalance. Jupiter planetary energy should be applied to the zone occupied by Mercury, and Moon planetary energy should be applied to the zone occupied by Mars. Both lunar electromagnetic energy and Moon planetary energy should be applied to the bowels. Example: Chart 274. Female, October 4, 1929, 1:00 p.m. 112W. 43:30N. Mercury conjunction Sun and square Pluto. Mars conjunction Moon Uranus opposition Mercury, Neptune sextile Moon. Pluto angular and square Sun and Mercury. In June 1931, as progressed, with Venus semisquare Mars r, and Mercury trine Jupiter r, had convulsions. Birth-chart constants: Heavy affliction to planet in Leo or to the Sun; Venus or Jupiter afflicted, and Pluto or Neptune prominent and afflicted. Progressed constants: A progressed affliction involving a planet in Leo or the Sun, a progressed affliction involving Venus or Jupiter at the same time there is a progressed aspect involving Pluto or Neptune, and a progressed aspect involving Mars. The conditions preceding coronary thrombosis are the same as those preceding other thrombi (see thrombosis); but as at birth and by progression the planet in Leo or the Sun is afflicted, the blood clot, or clots, tends to block the coronary arteries. Stellar Treatment: Through diet and application of Sun planetary energy to zones occupied by Venus, Pluto or Neptune, the vitality should be increased. Mercury planetary energy should be added to the zone occupied by Jupiter, and Moon planetary energy to the zone occupied by Mars. And the heart zone should be given the antidote planetary energy of any planet in it, or that beneficial to the Sun. Example: Chart 7196. Male, February 17, 1891, 5:46 a.m. 79W. 43N. Venus semisquare Jupiter, Pluto and Neptune angular and square Sun. On May 7, 1940, as progressed, while running to catch a street car he suffered coronary thrombosis. Sun conjunction Mars r, Asc. semisquare Pluto p, Venus and Jupiter square Pluto p.